The beginning of a new year is always a good time to look back on accomplishments. 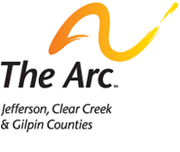 You’ll find another wonderful article in this edition of our eNewsletter that celebrates The Arc in Jefferson County’s many achievements throughout 2010, and we are extremely proud to share those with you. This article, however, focuses on the power of our participation in a national movement – one that continues to create positive change and moves us forward into a brighter future that we help create. It may surprise you to learn that our chapter is just one part of a much larger and highly impactful national organization. There are actually 730 chapters of The Arc throughout the United States, all of which are working daily to improve the lives of people with intellectual and developmental disabilities. Though our foundation is this grassroots network, our collective voice at the national level has the power to create change that no single chapter can achieve alone. The Arc is driven by opportunity — the opportunity for hope, growth and change. By continuing to work collaboratively and speak with one voice, we can one day achieve a world where everyone has the opportunity to become a valued, contributing member of their community. Together, we are The Arc.